A nose with clear red fruits and a touch of vanilla and spice, for a wine of wonderful finesse and great length, to be consumed with feathered game or a nice piece of meat& crisp and with notes of yellow fruit, becoming more complex with age. A direct palate offering plenty of space for the raspberry and red berries, for a well-balanced overall effect. The manual harvest is first sorted and then 95% destemmed. The grapes are then placed into a temperature-regulated vat for maceration and fermentation on a base of only indigenous yeasts for a duration of 8 to 10 days, with the temperature maintained at between 18 and 20°. A warm finish for the 24 hours prior to devatting enables the extraction and fixing of the colour, while softening the tannins. Ageing takes place exclusively in Allier oak casks on account of the density of its fibre (limited timber marking), 30% in new casks. 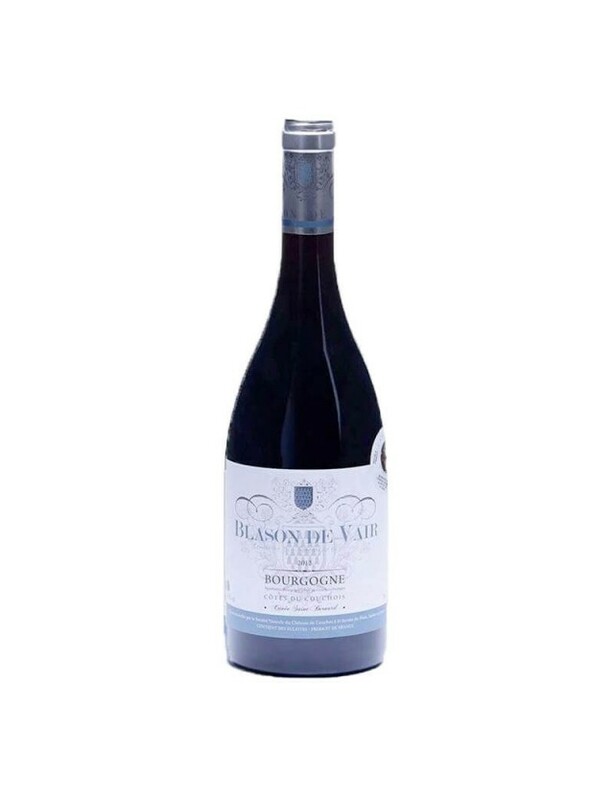 Although Château de Couches has within its grounds 83 hectares of vines including Pinot Noir, Chardonnay and Aligoté, the wine, sold under the brand Blason de Vair comes from all their local production. This terroir, spread over six communes, provides a technical diversity and a wide aromatic palette allowing, after strict selection, the creation of very different vintages, to the great pleasure of all those who love great Burgundy wines. Vinification is carried out by Côtes du Couchois wine-growers, in collaboration with Blason de Vair. Selection and blending is therefore carried out on the basis of an analysis of each of the batches presented, to create a vintage of around a thousand bottles.